Ask a doctor before use if you are taking minocycline, doxycycline, tetracycline or are on Coumadin therapy, as zinc treatment may inhibit the absorption of these medicines. 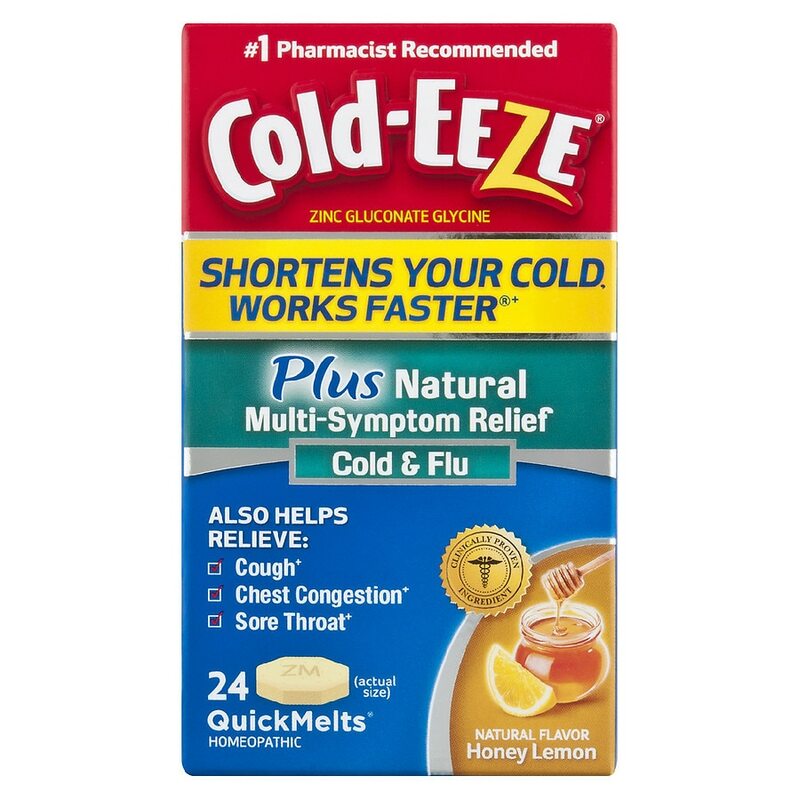 Cold-EEZE® Plus Multi-Symptom Relief Cold & Flu QuickMelts® is a combination product formulated to help you to reduce the duration of the common cold and to help relieve cold and flu symptoms. It is insufficient treatment for influence or allergies. If pregnant or breast feeding, ask a healthcare practitioner before use. Keep out of reach of children. Do not take Cold-EEZE® Plus Multi-Symptom Relief Cold & Flu Quick Metls® on an empty stomach to avoid possible minor stomach upset.